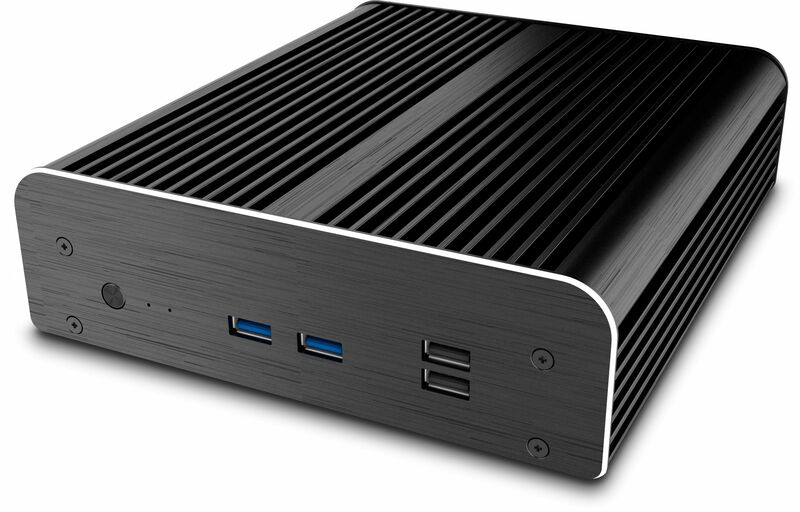 Akasa's Newton S7 makes it possible to cool an i3 or i5 NUC passively for totally silent computing! Akasa's aluminium Newton S7 chassis has been designed specifically for Intel's new 7th generation i3 and i5 NUCs. Just like other fanless NUC chassis from previous generation the Newton's chassis passively cools the i3 or i5 CPU without the need of any fans, making now possible to cool the 7th gen NUC in pure silence. 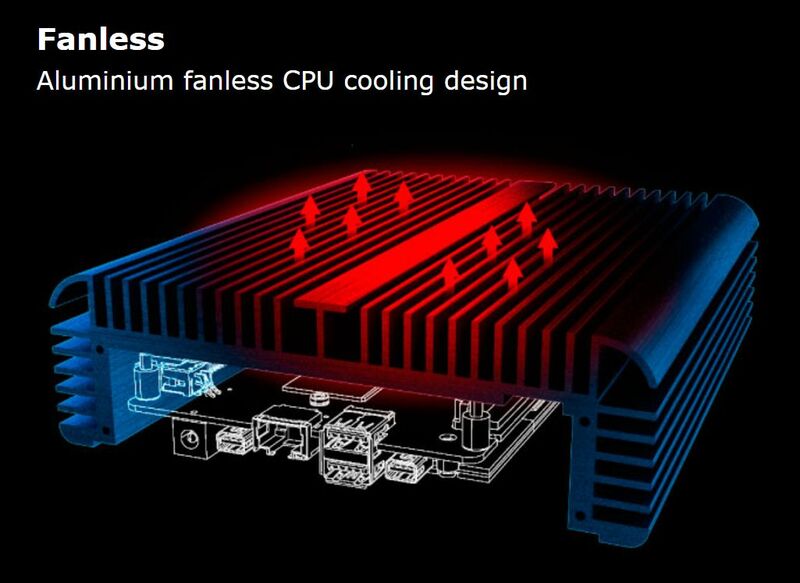 As well as offering silent cooling for whichever CPU chosen, the Newton is able to accommodate a single 2.5" hard drive or SSD. Of course opting for a HDD rather than a SSD will mean there is some operational noise from the hard drive. We therefore recommend opting for a SSD to maintain the silent attributes this chassis offers. Please note that the maximum height of the installed hard drive can not exceed 9.5mm. 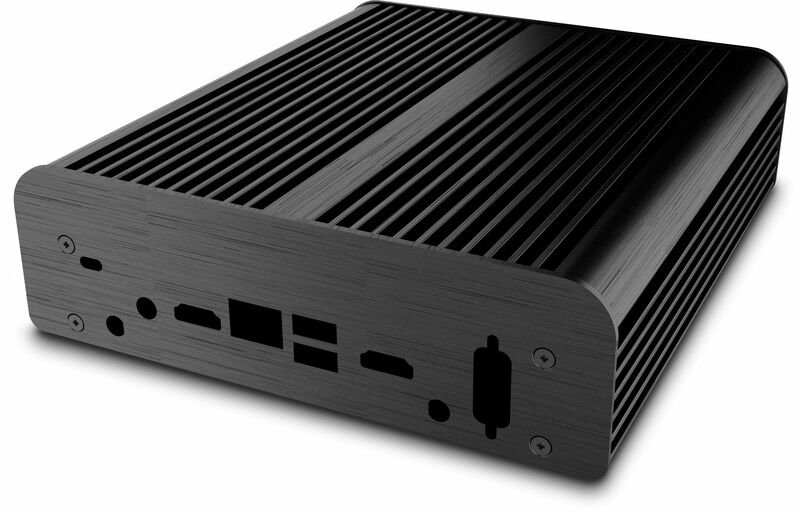 The chassis features two USB3.0 ports and a small IR window at the front of the case. At the rear, slots are available to utilise the full range of ports the 7th Gen NUC offers along with a Kensinton lock.